After a 4 month break since the last issue, the third instalment of Lego City Magazine is out now. 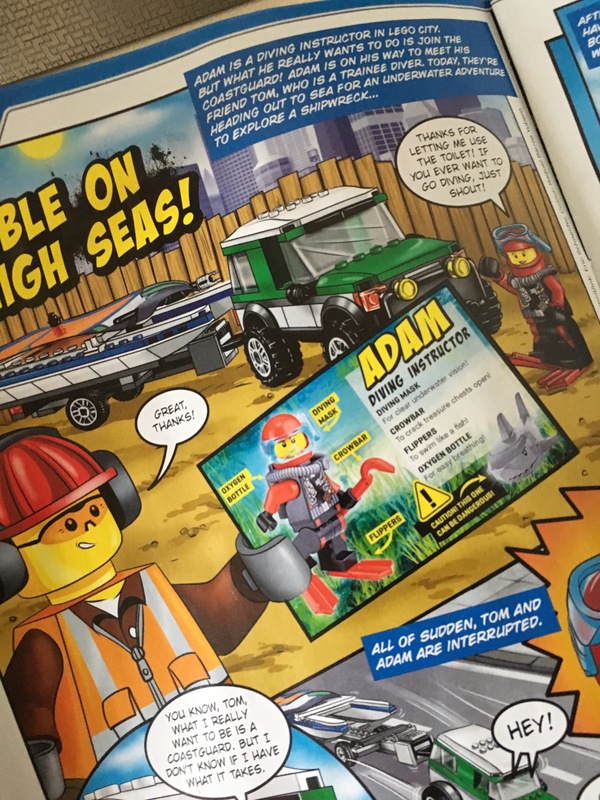 This issues theme is Sea Chase, and follows Adam The Diving Instructor as he battles bad guys while chasing his dream of becoming a coastguard. 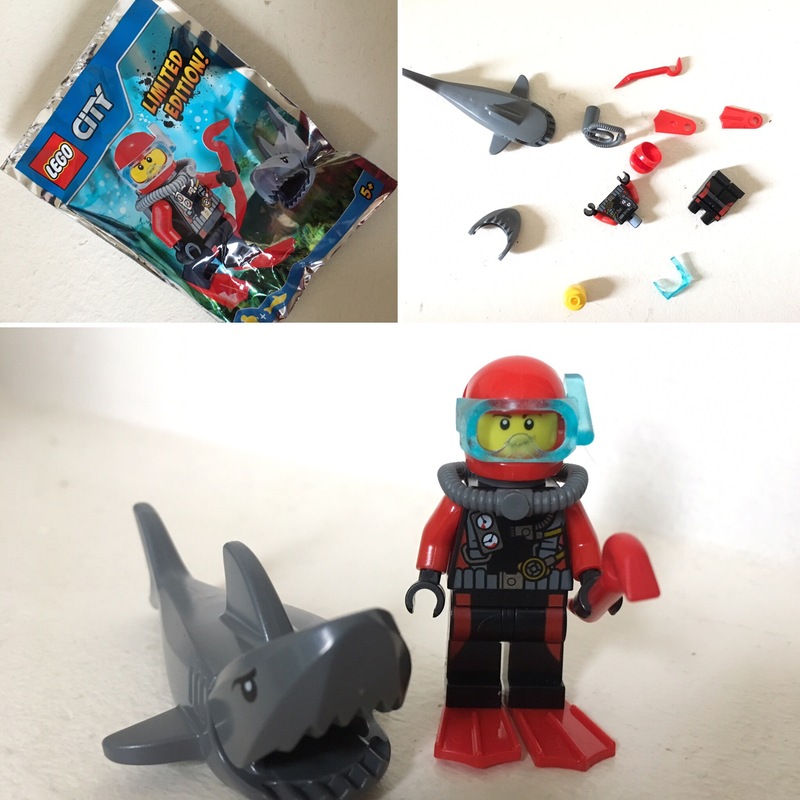 The free gift is Adam the Diving Instructor (with his breathing apparatus, flippers and crowbar) and a shark. The story carries on from the Issue 3 (which took place on a building site), with Adam being introduced to the reader having just used the toilet on the site, and similarly, flipping to the end of the story, we will be introduced to the (soon to be) hero of Issue 4. The bulk of this issue is made up of the comic – which as with the previous issues, is designed really well, and there’s also some puzzles, a competition, and a double sided poster. The puzzles are actually placed really well and integrated into the story where our hero has to overcome some dilemma. 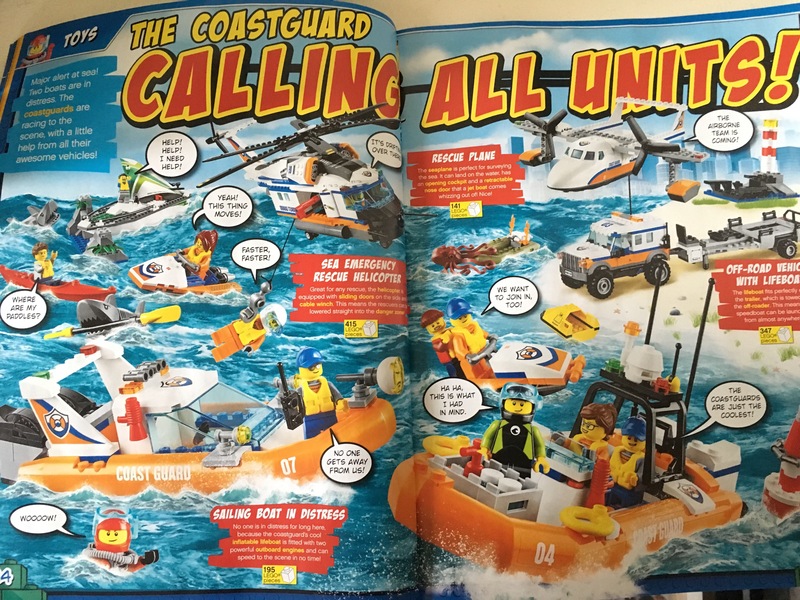 There’s also a double page spread of the City Coastguard Sets – which is the kind of thing that I love – showing the sets in the theme in action. The back page features a ‘Cool Mask’ which is a mask that can be cut out. 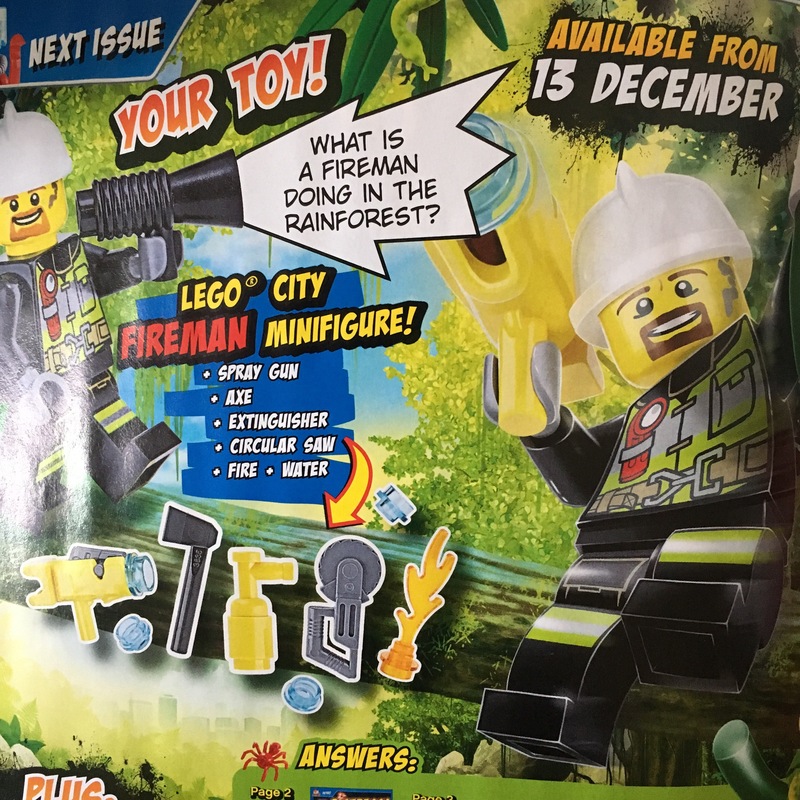 This is very poor, even by kids magazine standards, and em is probably best left where it is. As I mentioned above we are also introduced to Issue 4 – which will be released on December 13th. There is genuinely no rhyme or reason (that I can see) to the timings of these launches, so if you’re not looking out for it in store, it could be easily missed. Parents out there will know that kids magazines can be super expensive and most come with cheap, tacky, ‘free’ gifts that end up in the bin. 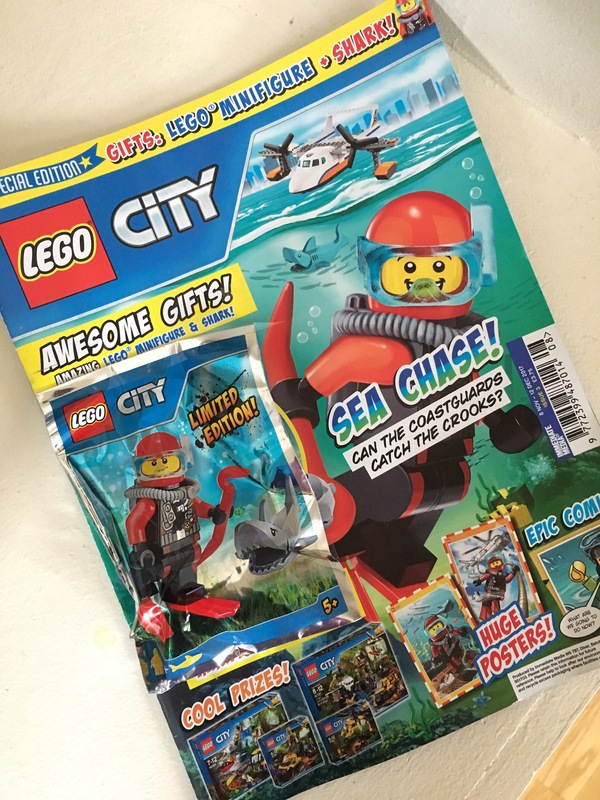 Lego City Magazine cost €5.20 (the UK price on the cover is £3.75) – which I think is very reasonable for what you get. KFOL’s are obviously the target market, and my 6 year old loves it. While he might not be able to read everything by himself he does enjoy looking at the illustrations and recreating the action with his own Lego. Win-win.